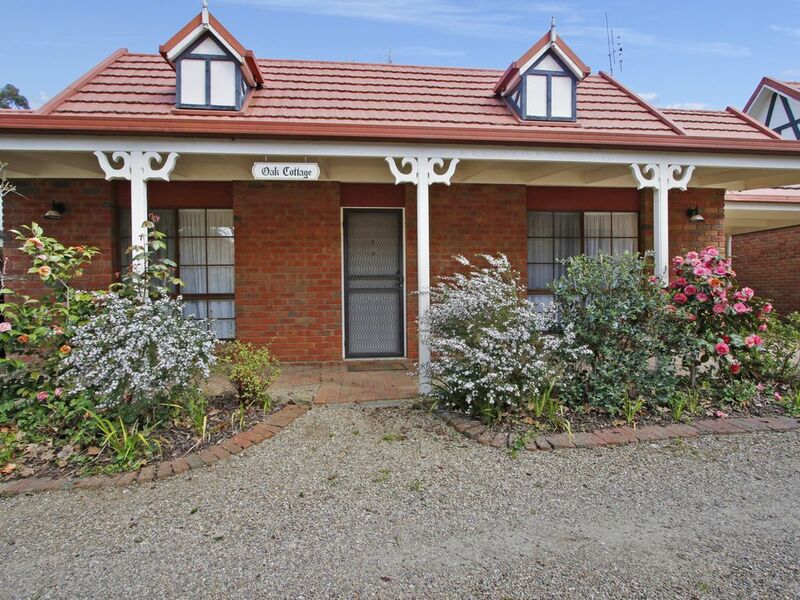 Tudor Village is located in a peaceful setting on the edge of town. Tudor Village is located in a peaceful setting on the edge of town. Six units surround a lovely relaxation area with gardens and a BBQ. All units have access to the pool located next to the BBQ area. Tudor 5 also known as Oak Cottage, consists of two bedrooms, one with a queen size bed and the other with two singles, a cosy living area equipped with TV, DVD player, ample couch space as well as reverse cycle air conditioning and a well-stocked kitchen, providing everything you need including pots and pans, cutlery, a dishwasher, and dining setting for four people. A new coffee machine is available at the property, the pods can be purchased from Woolworths.